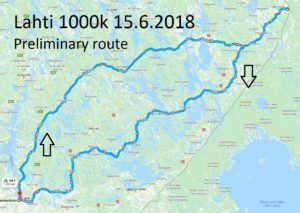 Lahti 1000 km brevet route goes through the scenic Eastern Finland to the lake Virmajärvi, which is the easternmost point of the continental European Union. This is official ACP-brevet and can be used as a pre-qualification for Paris-Brest-Paris 2019. 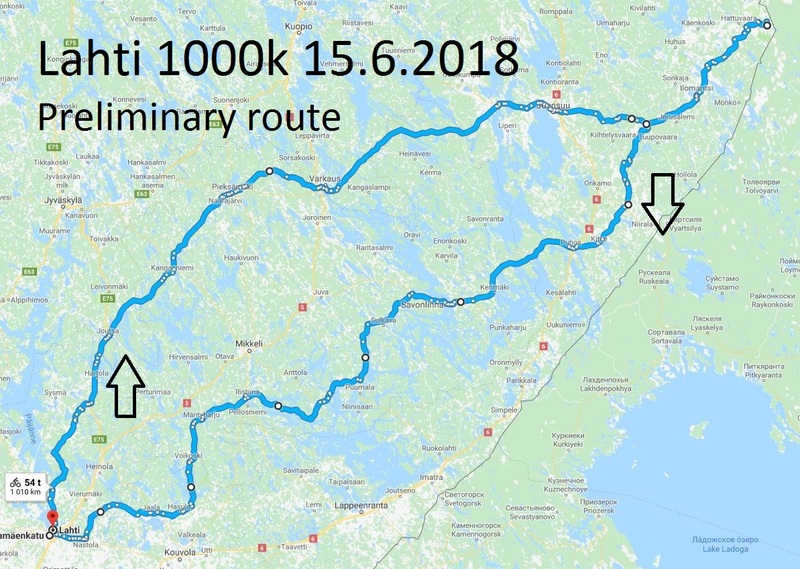 Fee: FREE (includes brevet card and road list). Local ACP season 2018 fee (10 €) can to be paid in advance or can be paid at the start. Cash only. There’s possibility to buy a medal after the brevet, it will be posted and billed (5 €) later. The event will be fully self supported. Registration latest on Monday 11th of June with form. Tämän kirjoituksen julkaisi sampsa.p. Tallenna kestolinkki.